Szpigel was a key member of the Expressionist group Jung Jidysz (Young Yiddish), a Łódź-based group of painters and writers dedicated to the expression of their Jewish identity, which also included Jankel Adler. He was also a member of ‘Start’, a group of mainly Jewish, Łódź-based artists, who exhibited across Poland throughout the 1920s and 1930s. By the 1930s, Szpigel’s work was in collections in Poland, London, and Jerusalem. 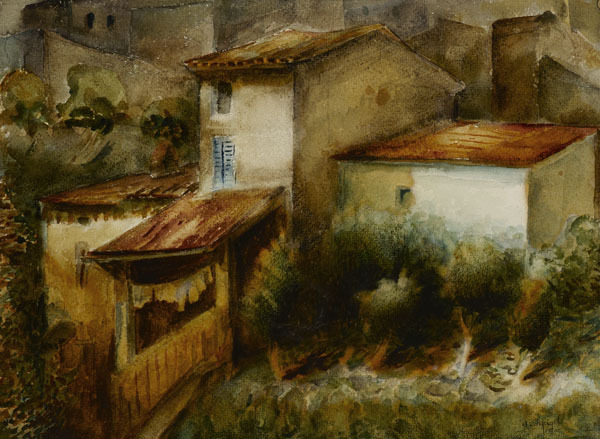 Shortly after the German invasion of Poland, in 1939, Szpigel, together with his family, was interned in the Radomsko ghetto, where he continued to paint. He perished in the Treblinka extermination camp in 1942. Today Natan Spigel’s work can be seen in public collections in Tel Aviv, London, Lublin, and Ein Harod. Only about 20 of his paintings are definitely known to have survived.